I realise I’m a little late to the party after reading a few blog posts, but can we just take a moment to appreciate this blusher please? I picked this up just out of curiosity really, because it was a pretty colour and only £1...Yep, just a single English pound. I’m so impressed with the pigmentation of this, I was expecting it to be a little washed out and chalky, but it has a crazy strong colour payoff. 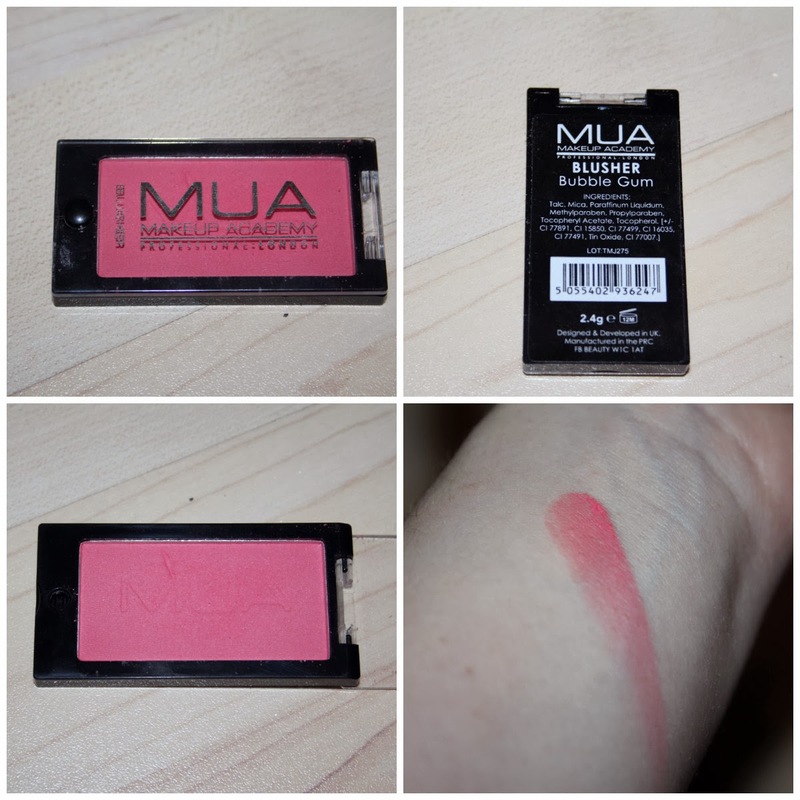 It blends easily over foundation or bare skin, and holds up much better than any other high street blush I’ve tried. This is the colour Bubblegum which is actually a pinkish coral shade, and most importantly matte. I love this little, non shiny, rectangle of joy, I have an uneven skin texture and blemishes so anything with shimmer just draws unwanted attention to that problem. I don’t mind the packaging either, in fact I like how slim and little it is, and you can clearly see what colour it is without having to open it or read the back. One con is that it does look a little flimsy, so I don’t know how well it would last if you dropped it...I may have just jinxed myself! Haha. Even if I did though, I can hardly cry over £1! I can see many more of the MUA powder blushers in my future. When it comes to taking my makeup off, I am defiantly all about efficiency. If I can get my waterproof mascara, lip stick and foundation off all with one product, then that is a truly magical and wonderful thing! 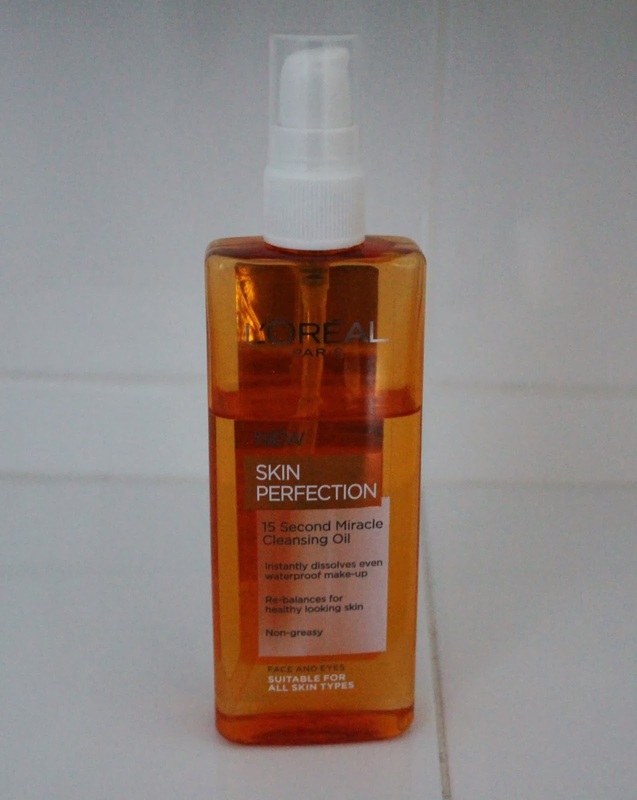 So I introduce to you, L'Oreal Skin Perfection Miracle Cleansing Oil. Now I know, it says oil which is a little scary and makes me personally envision a shiny, slippery face. However, the nice thing about this product is that it emulsifies in to a lovely, milky lotion when it comes into contact with water, which is easily removed with more water or a cloth/flannel. It’s really easy to use and gets the job done without any hassle, making it way better than a cloth cleanser for me. It can struggle a little with heavy eye make-up, I’m talking lashes, smokey eye the whole shebag! In this scenario you may need to double cleanse one the eyes, but it will take it off without pain. This is my first experience with cleansing oil, and I have to say I’m hooked. It is just so easy to melt my face off (not literally, just the make-up!) and wipe away. I’m mostly impressed by its ability to breakdown waterproof mascara without making my eyes sting. I have had one hell of a journey trying to find an eye make-up remover, on a budget, that doesn’t make my eyeballs fall out of my head. (I guess I’m feeling a touch dramatic today.Ha!) Still, for a product around the £5 mark this is a pretty amazing make-up remover, so where’s the catch? Well, it’s actually a personal opinion if it is a downfall or not, as it has mineral oil in it. If you’ve been looking into skincare and read a few blogs, then I’m sure you have stumbled across ‘mineral oil = bad’. My understanding is that it comes from petroleum, which is a natural thing from the earth. It’s purified before being used in cosmetics/pharmaceuticals, which makes it the safe form and not the raw type, which would be an issue. In fact because of the nature of it, the refined mineral oil doesn’t actually penetrate the skin. It sits on top so it can’t actually block any pores, which would obviously be a bad thing as it could lead to breakouts etc. The flip side of this is of course could be seen as it cannot deep cleanse, it just removes the surface dirt and grime. So it all depends where you fall in relation to mineral oil being in your products. Personally, I don’t have a problem with it if it is safe and not hurting anything. So of an evening I use this to take off my make-up, then second cleanse with Purity Conditioning Cleansing Lotion and that’s it. Super easy. Have you tried this cleansing oil? Let me know if there’s another cleansing oil I should try next! Washing my hair is my least favourite thing to do, I'd rather clean and tidy than have to go through the long process of taming my mane. My hair is fairly long now, and I seem to have quite a bit of it too so washing, brushing, drying and styling...it just makes my arms hurt. If I can get away with not washing it, whilst still being socially acceptable, then I will. For these reasons, I consider myself a dry shampoo addict. I’ve tried numerous ones now from Bedhead to own brand drugstore, even the standard talc trick, but I mostly like good old fashioned Batiste Clean & Classic. That was until I got my mitts on Dove Style+Care Dry Shampoo. Oh my, this stuff is incredible! Initially I was put off by the price, I picked mine up from Boots and it was £4.59, which compared to Batiste at only £2.99 for the same amount of product seemed a little too pricey. The good news is that it is worth every penny. 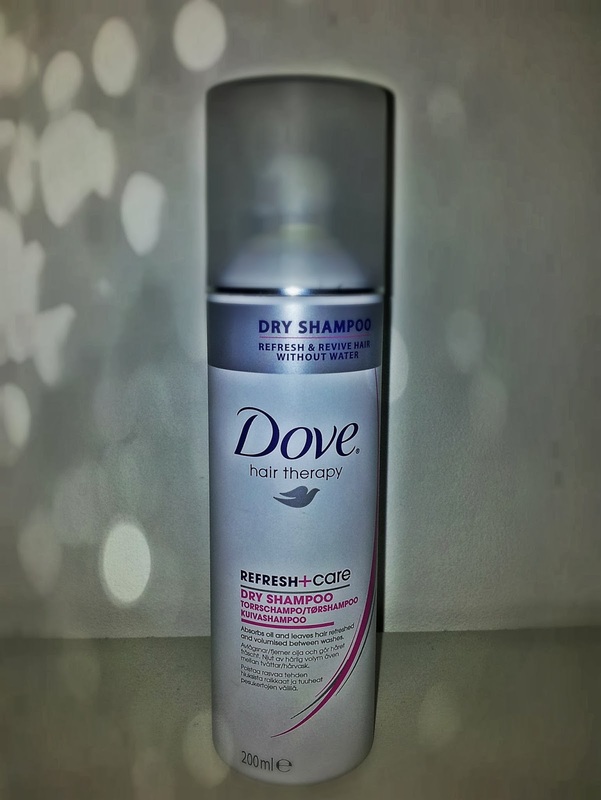 The most amazing thing about the Dove Style+Care Dry Shampoo is that it is clear, I kid you not! There’s nothing worse than accidentally spraying too much dry shampoo and giving yourself a lovely, early aging effect as your roots are way lighter than the rest of your hair...we’ve all been there! (It’s even worse on darker hair. Skunk.) This is not a problem with the Dove product as it is pretty much invisible. As if that wasn’t enough to get you up and running to get some yourself, in my experience it also adds a crazy amount of volume at the roots for a dry shampoo, and if you use it on the mid lengths of your hair it acts as a lovely texturising product. This dry shampoo is awesome. It absorbs and reduces oiliness, adds texture and volume, lasts all day long, oh and it smells pretty darn lovely too. Also I find I don’t need to use a lot to put life back into my second/third day hair, so even thought it costs more than your average drugstore/high street dry shampoo, I think it lasts a smidgen longer. This is one of my new favourite, fail safe products and I can't find any fault except maybe the price, but I'm willing to pay the extra £1.60 for greatness in a can. Go try it and let me know what you think!